TUESDAY, April 24, 2018 (HealthDay News) -- Heading the ball -- not player collisions -- may lead to temporary thinking declines in soccer players, a new study finds. 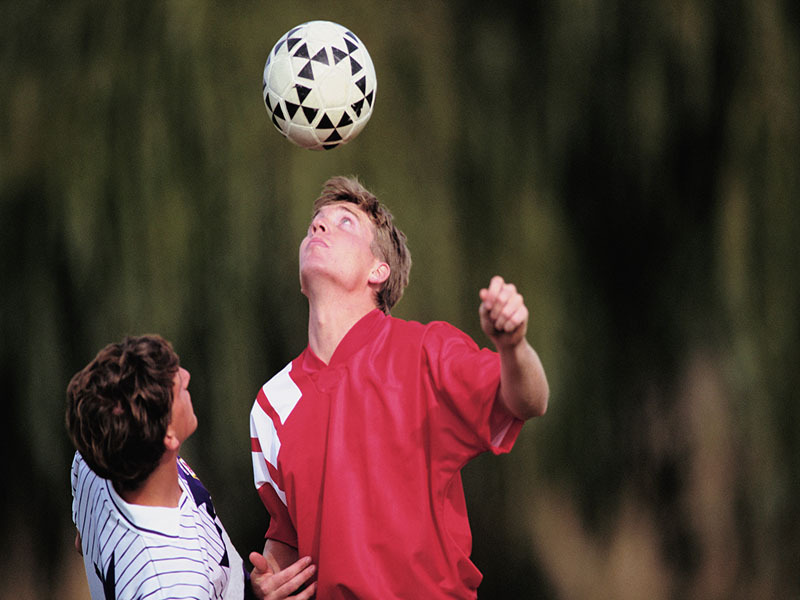 "Unintentional head impacts are generally considered the most common cause of diagnosed concussions in soccer, so it's understandable that current prevention efforts aim at minimizing those collisions," said study author Dr. Michael Lipton. He is a professor of radiology, psychiatry and behavioral sciences at Albert Einstein College of Medicine in New York City. "But intentional head impacts -- that is, soccer ball heading -- are not benign," he added in a university news release. "We showed in a previous study that frequent heading is an underappreciated cause of concussion symptoms. And now we've found that heading appears to alter cognitive [thinking] function as well, at least temporarily," Lipton noted. However, the study was not designed to prove that heading actually causes thinking problems. The study included more than 300 amateur soccer players, aged 18 to 55, in New York City. They were asked about how many head injuries they'd suffered and how often they'd headed the ball within the previous two weeks. During those two weeks, players headed the soccer ball an average of 45 times. About one-third of them suffered at least one accidental head impact, such as a kick to the head, or a head-to-head, head-to-ground or head-to-goal post collision. Players who headed the ball the most did the worst on tests of attention and "psychomotor speed" (reaction time). High rates of heading were also linked with poorer results on a working memory task, but the association was not strong, the researchers found. There was no connection between accidental head impacts and mental performance, according to the study published online April 24 in the journal Frontiers in Neurology. The changes in brain function seen in players who did a lot of heading did not cause obvious problems, but "we're concerned that subtle, even transient, reductions in neuropsychological function from heading could translate to microstructural changes in the brain that then lead to persistently impaired function," Lipton said. "We need a much longer-term follow-up study of more soccer players to fully address this question," he said. Soccer players should try to do less heading during practice and soccer games, Lipton suggested. "Heading is a potential cause of brain injury, and since it's under control of the player, its consequences can be prevented," he said.